If you don't read a lot of management or business strategy books, I'd recommend you start with The Hard Things, as Horowitz has a lighter voice, and his book is funnier and an easier read. In Hard Things, Horowitz geeks out about his mentors / role models, including Andy Grove. If you like Hard Things and want to take the master class, you should definitely read this book. Grove is amazingly insightful, and his philosophy is inspiring. I got this book because it was recommended by Ben Horowitz in The Hard Thing About Hard Things, another solid management book. This book (High Output Management) dates from 1983 and it shows in the tone and subject matter. The book predates widespread email and talks a lot about manufacturing. However, these are not shortcomings. In fact, it is great that the author is not distracted by things like agile, lean, kanban, etc modern marvels. He makes an analogy between a fast food restaurant and other processes, including knowledge work and HR, and the analogy holds up. Of course, he also gives examples from his work at Intel. Everything is meat and potatoes of people and process management, and to the point. 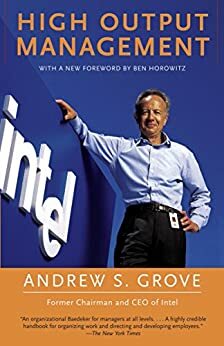 As I was reading this book, much of it resonated with my own experience, and at other times I was amazed at insights that showed me how Andy Grove truly was a top manager, after starting as a researcher and engineer. 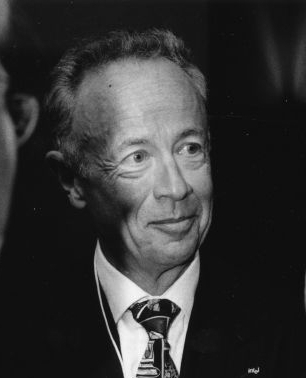 I wish I had a mentor or manager as wise as Andy Grove. 5.0 out of 5 starsA very worthwhile read, honest and practical. This is not a review, rather some thoughts that occurred to me while reading the book. As manager of a small team I found the book to be full of very practical advice. In particular, the Part 4 - The Players contains very useful processes which are immediately applicable to my daily activities as a manager. Grove's main accomplishment in this book, is the simplification of very complex organizational concepts and processes into simple steps that anyone can follow and manage. Grove is clearly a decisive individual, this also emerges clearly from the text. He lays out a dilemma, lists the pros and cons and then makes a decision, for better or worse. The book is also a very frank account of the ups and downs of management, the author shares his mistakes and moments when his judgement was not accurate. You get the feeling, that he wrote the book, had it proof read and published, and was not at all concerned with the politics or how he would be perceived. Grove's dedication to Intel and its employees is also abundantly clear, it must have been a real privilege to work with a manager to that caliber. High Output Management provides a comprehensive overview of a managers role and purpose. The book focuses around a central thesis that a manager's objective is to increase the output of the work of those below and around him. A manager should therefore choose high-leverage activities that have a multiplicative impact on the overall output of his subordinates and peers. For example, providing clear direction to a team may only require a small amount of the manager's time, but yields tremendous value in terms of the output of the team. * Delegation - In order to maximize leverage, a manager needs an optimal number of subordinates to whom he can delegate to. Successful delegation provides lots of leverage, whereas poor delegation ends up netting no leverage since it turns into errors and micro-management. * Meetings - Meetings are extraordinarily expensive to a company. There are three types of recurring meetings: one-on-one's, staff meetings, and operational reviews. Each of these meetings should have a clear framework for maximizing value and minimizing time-waste. There are also one-off meetings centered around making a particular decision - such meetings should be especially carefully planned and executed since they are often scheduled ad-hoc without a clear purpose and with too many participants. * Making decisions - When making decisions, there's a fragile power dynamic that needs to be carefully handled. Managers should facilitate free and open discussion amongst all parties until a consensus emerges. In cases where a consensus does not emerge naturally, the manager should push for a decision. * Dual reporting - Dual reporting is inevitable in most large organizations. Consider advertising: should each division of a company decide and pursue its own advertising campaign, or should all of it be handled through a single corporate entity? The optimum solution calls for the use of dual reporting where each division controls most of their own advertising messages but a coordinating body of peers consisting of the various divisional marketing managers chooses the advertising agency and creative direction. * Motivating employees - Our society respects someone's throwing himself into sports, but anybody who works very long hours is regarded as sick or a workaholic. Imagine how productive our country would become if managers could endow all work with the characteristics of competitive sports? Eliciting peak performance means going up against something or somebody, and turning the workplace into a playing field where subordinates become athletes dedicated to performing at the limit of their capabilities. * Performance reviews - Performance reviews are easily mistaken as simply a way to assess performance and evaluate compensation. The fundamental goal of a performance review is to improve the subordinates performance. A review will influence a subordinate's performance for a long time, which makes the activity one of the manager's highest-leverage activities. Thus great care needs to be taken in the preparation and delivery of a performance review.